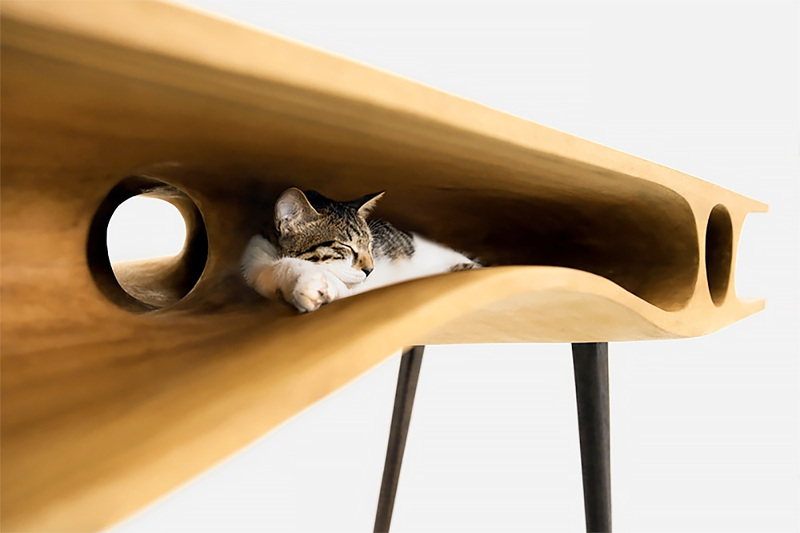 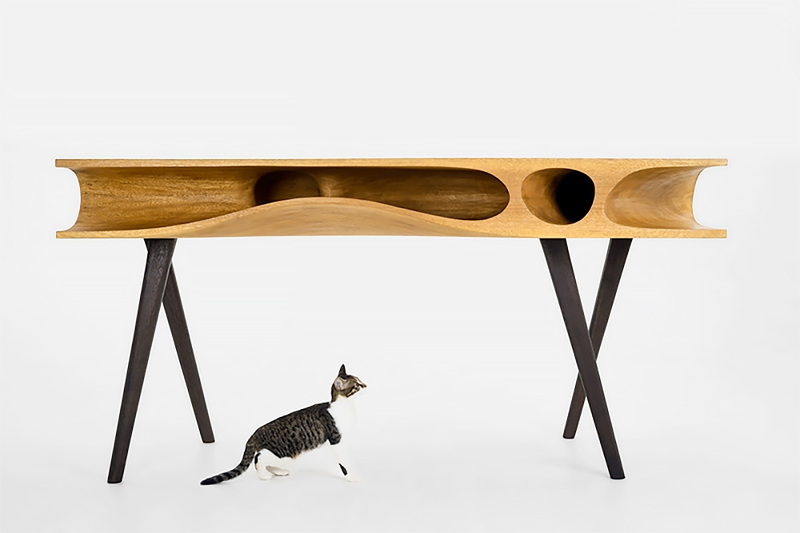 Wooden table for humans and cats designed by Ruan Hao. 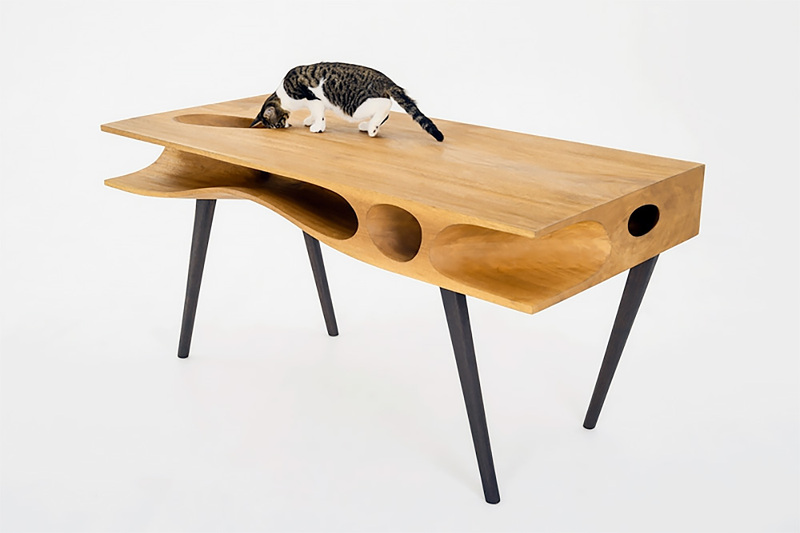 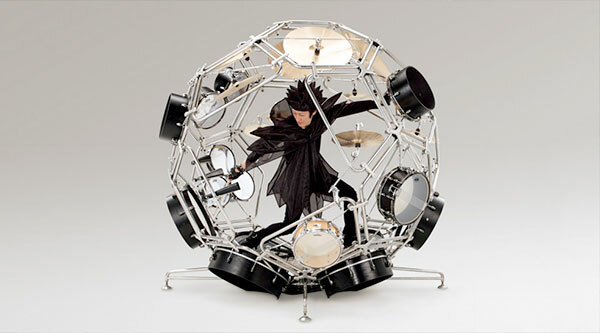 Workstation for the human and fun playground for the cat. 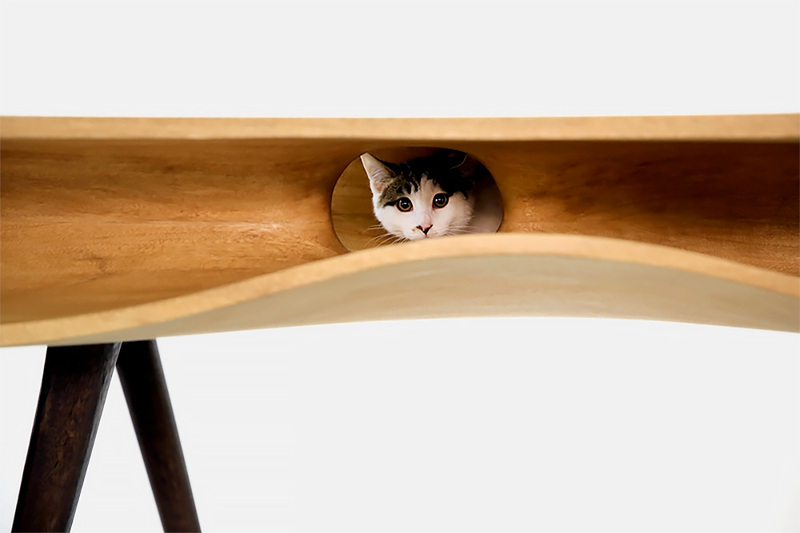 A proper sized hole could be so irresistible to cats. 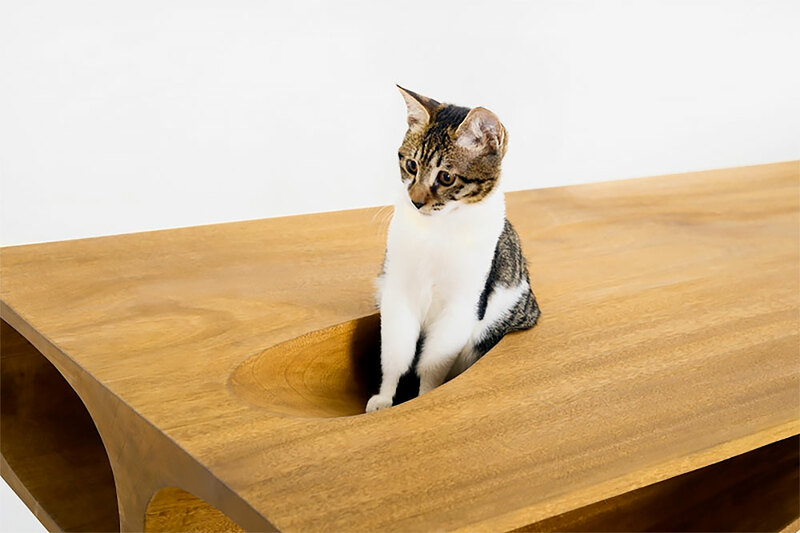 Their curiosity would be greatly satisfied through repetitively exploring the unknown path behind the hole. 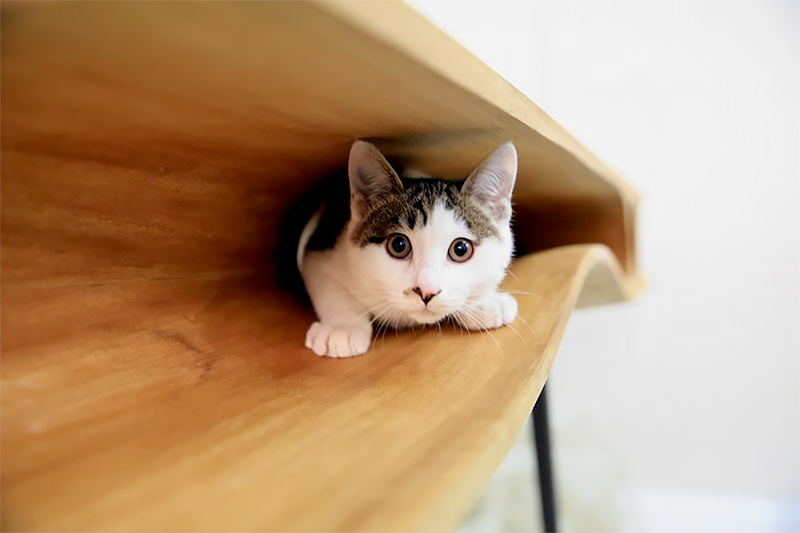 Do your homework and play with your cat.